T’challa remembers his finale battle against Doom just seconds before he was incinerated. He finds himself in between life and death. In Wakanda, Queen mother and Ororo meet with a Wakandan mystic known as Zawaviri. They beg for his help but clearly having his own motives he reveals to them that it will be a very hard thing to assist them because of the danger involved. They decide they will do whatever he wants. He smiles and decides to proceed. Shuri is busy undertaking the trails to become the new Panther, she chides how easy it was. Elsewhere Morlun is summoned to feed on the dying T’challa. Zawaviri tells storm what she must do to save her husband, not wanting to lose him she agrees. The old man is pleased. 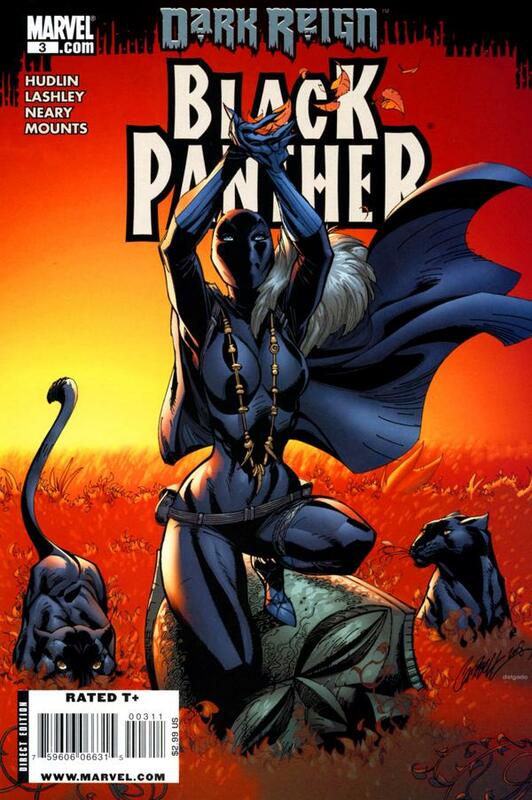 Shuri reaches the herb garden guarded by 25 black panthers. Morlun feeds on those who summoned him and makes his way toward the kingdom to get T’challa. In the afterlife the Dora Milaje tells T’challa it is time to move on, he doesn’t think his time is up yet. Storm prepares to help T’challa as she lies on an altar. 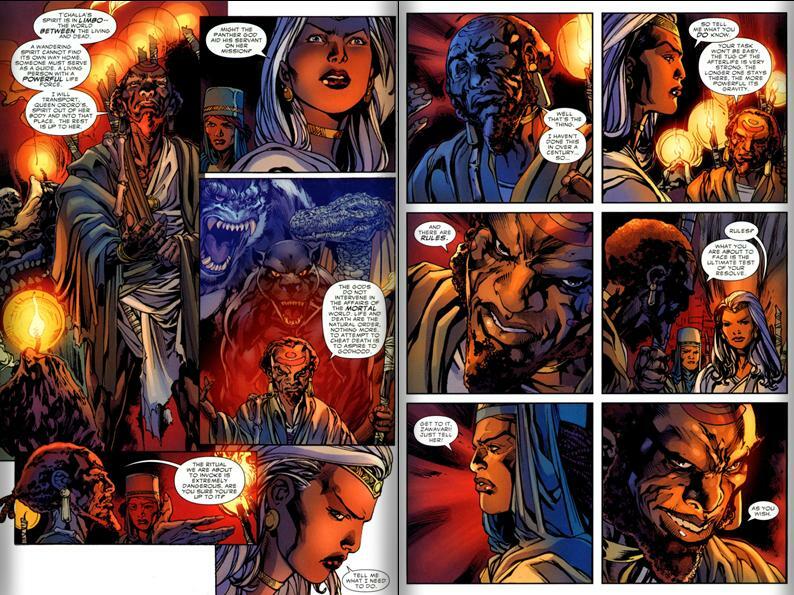 Zawaviri sets her ablaze and tells her how to find him. Shuri reaches the herb right as the panthers awake. They wrangle and she eats the herb. In between the afterlife the Dora Milaje is revealed as Death itself come to carry T’challa home. The art is gorgeous, no two ways about it, every page is just gorgeous. Ok sure its pretty but the story was also engaging as things ramp up. Morlun is coming, Shuri has reached the end of her journey, storm is going for T’challa and death comes for T’challa. Edge of your seat action. Hudlin has impressed me with this issue. I literally cant wait for the next issue!